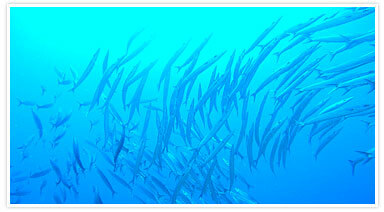 The diving style at Yonagunijima is drift diving. 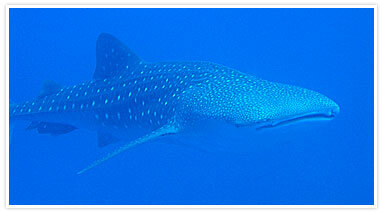 With big fish such as hammerheads and tuna, large rock formations and tunnels, the seas surrounding the island offer a fantastic all-round diving experience. 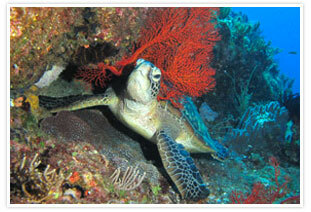 One dive is generally 30-35 minutes (plus time for safety stops). We offer fun dives and instructor courses for licensed divers, as well as trial dives and 3-day license courses for beginners. Diving times are flexible depending on sea conditions and we are happy to arrange your dives to fit in with your travelling schedule. Transportation services to and from the airport or ferry terminal are also available (please let us know in advance by email). All of our instructors are highly qualified and experienced and we have several boats of different sizes, so can cater for individuals or groups. 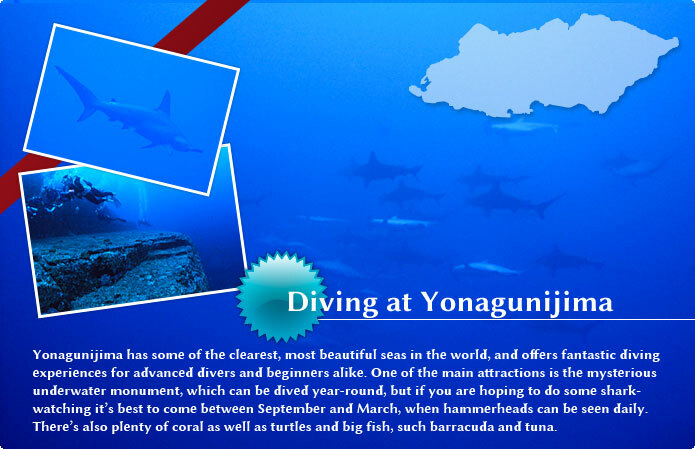 Yonagunijima is said to have the third clearest seas in the world and when you come here you'll see why. While most famous for the underwater monument and hammerhead sharks there are plenty of fabulous points to see coral and tropical sea life. 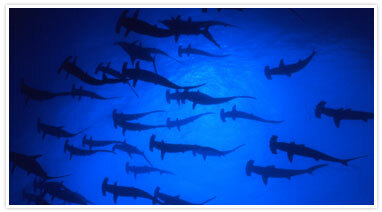 Hammerheads can be seen in he winter months from September till March, but don't worry - the water round Yonagunijima is warm all year round! 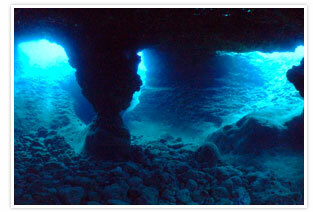 In addition to sharks and other big fish, there are lots of interesting rock formations and tunnels to explore. 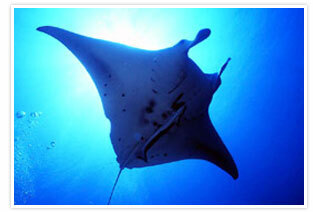 We run regular charter fishing and cruising trips around the island. For prices and other enquiries about the services, please contact us at souwes4792@gmail.com, or click here for the price list in Japanese.